The creative juices are definitely flowing for Airport Madness 6. It will be called, Airport Madness: World Edition. Is it too soon to talk about? You aren’t going to see it until May 2014. You may be wondering if we ever plan to stop making new versions of Airport Madness. The answer? Never…. mwahahaha! Don’t study this too long – it’s not a real-world airfield. AM6 will likely have simpler, more contrasty graphics. Radar will go back in. In fact, there will be an option to play the entire game from the radar interface. Perhaps you tire of the landscape, and want to think purely about the aircraft themselves. Or perhaps you feel that having a large range of scope will give you an edge. We intend to borrow some of the code from Radar Chaos to drive the interface. Voices – there will be at least 6 different voices. AM3 and AM4 lacked variety in this department. Let there be night – we do intend to offer “night” versions for each of the six fields we offer. However, the bad weather feature is still up for debate. In AM4, I heard a lot of “this looks terrible”, and “frame rates are really bad during bad weather”, and “I can’t see the planes during bad weather”, and “Hey, how do I turn off that annoying weather feature?”. Oh, and my favorite: “Can I have your game for free?”. Oh, brother. Just grab it off Pirate Bay already! Having said that, I sincerely appreciate everyone who has ever sent us their hard-earned money. It is YOU that keeps me doing what I do – banging away at my keyboard until a new game pops out. 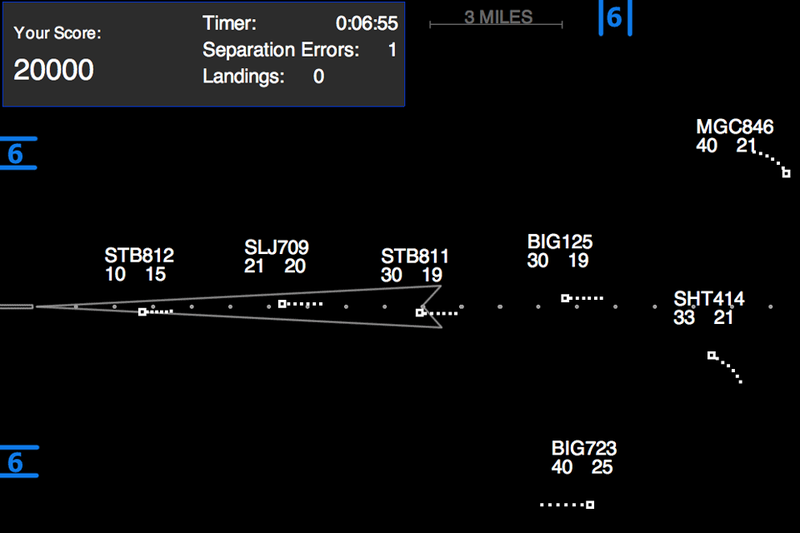 The cool thing that AM6 will bring to the series is (finally) the ability to assign departure runways. Yes, it’s going to be a free-for-all. Go right ahead and create unresolvable nose-to-nose conflicts on the taxiways. I promise to add a “Return To Start Point” button. Challenges – I think rather than playing one airfield for eternity, we will instead add two items to the top of the page. One is a stopwatch and the other is an airplane counter. Move 100 planes as fast as you can. The faster you move them, the faster they come. We will probably toss in some Facebook functionality, so you can show off to your friends. With Radar Chaos: Hawaii Edition, we did a great deal of research into real-world procedures and routes. AM6 won’t do that. 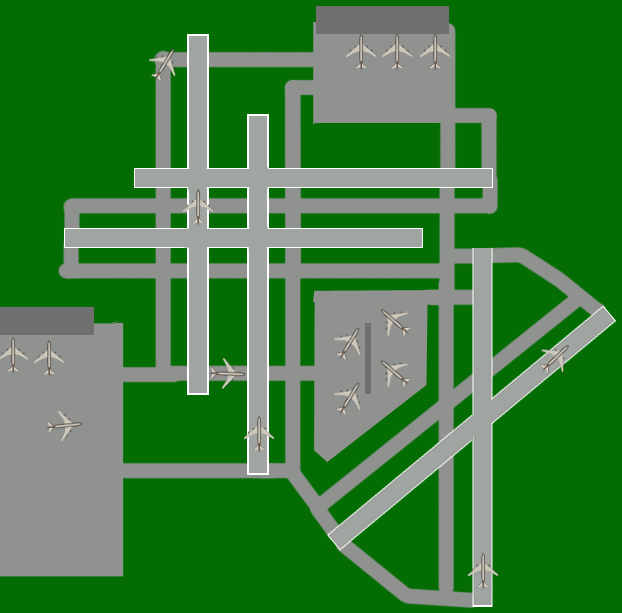 In San Francisco, there will be simultaneous runway ops like they do in real life, but not necessarily using the preferred runways and routes. So you can go right ahead and drive your Airbus 380s over downtown. It’s your airport. The cement is still very wet, so now is the time to get your thoughts in. Believe it or not, I really do read all of my emails from you. Sometimes, I’m not good at responding. There are only so many hours in the day and, well, it cuts into my TV time. This entry was posted in Airport Madness 6, Airport Madness: World Edition on July 21, 2013 by admin. Years ago, before I started building games for the web, I had aspirations of becoming a professional website designer. Remember back when people would make websites for themselves? Then they would brag to their friends, “Hey, check out my awesome website. I built it myself. It has pictures and links all over it.”. In 2004, I was busy building crummy websites for others. I was completely self-taught from an extensive personal library of “For Dummies” books, but aside from that knowledge, I really had no idea what I was doing. Anyone remember our 2008 website header? A friend once suggested that I not refer to my web design company as “I” or “me”. Rather, he suggested I use the terms “we” and “us”. He didn’t want me to appear as “some dude in a basement with his laptop”, but rather, a large corporation occupying a 26-story building in downtown San Francisco. There is definitely merit to that suggestion. However, with game development things work a bit differently. I hope you aren’t expecting me to answer emails at 3:25 in the morning. As an “Indie Game Developer”, I compete with some huge app development companies. It’s become darn near impossible for an indie game to make it into the top ten games on the App Store. If I sell my games under the guise of a large corporation, people expect to have a certain experience. They expect Angry Birds for a buck. Since I charge 10 times that for my air traffic control games, I like people to know what they are getting, and who they are getting it from. I like to use the “I” and “me” words in my blog. Niche markets like air traffic control games are difficult for large companies to profit from. If a large company builds an air traffic control game that is only going to appeal to 5% of all gamers worldwide, they aren’t going to sell enough copies to cover their costs. I think that’s where indies like me have a huge opportunity. We can keep the costs low. We can pause. We can change our minds, and make split decisions. No meetings required. No focus groups. That kind of agility does not exist in large game development firms. If I sold my stuff for a buck, I’d go out of business! Plus, indie games are considered sort of cool. 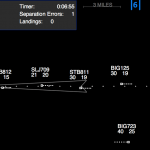 No, it’s not some 99 cent app you are buying, but an air traffic control game, developed by a real-world air traffic controller. It’s unique. Kind of special. Very niche. When I get a complaint from a customer, I like them to know that it’s a human being on the other end – not some large corporation that couldn’t care less about the ten bucks you just spent. No, I don’t employ anyone to answer phone calls 24/7. It’s just me. I did incorporate last year, to keep things neat and tidy. I’ve never been great when it comes to paperwork, or keeping track of business matters. Honestly, I should have a full-time accountant and bookkeeper following me around, cleaning up after my messes. They could share an office on the 25th floor. I like to think my customer service is excellent. I do own a mobile device, and can usually answer your emails within a few minutes.